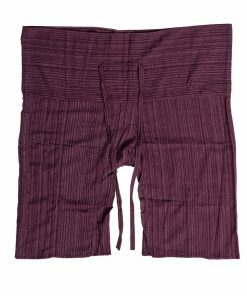 Traditional fisherman Thai pants were the traditional clothing for Thailand’s fishermen and this is where their name comes from. 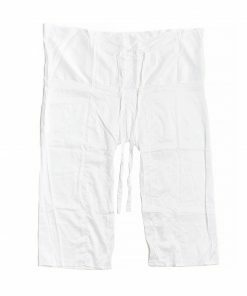 This pants design offers great comfort allowing free movement. Another reason the fishermen wear them for is that they dry very fast. 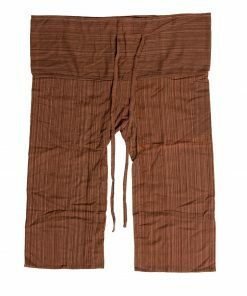 Nowadays these pants are used as comfort clothing at home or for outdoor activities. 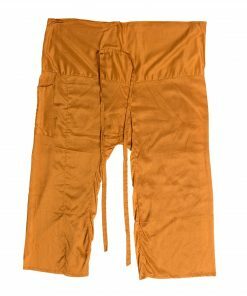 The thin fisherman pants are most commonly used in massage spas and studios. They are an ideal choice for both the masseur and the customer. 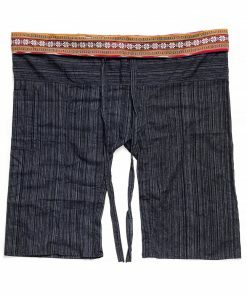 The short ones are traditionally used in Muay Thai training in Thailand. 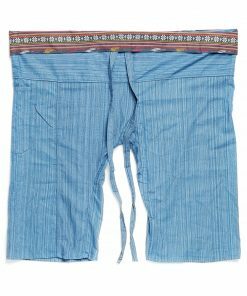 They are also referred as Kung Fu pants. 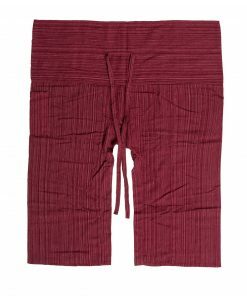 These pants are ideal for the hot months. 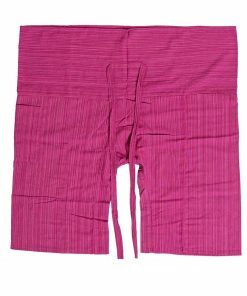 All the traditional Thai pants are made of cotton. They are durable to withstand frequent friction and washing.